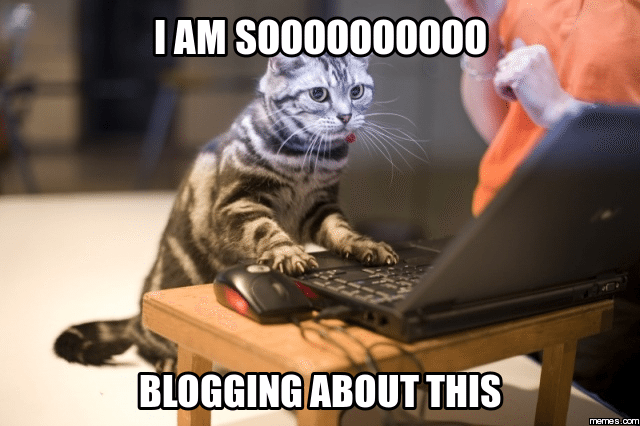 Are you new to blogging? Blogging can be a bit overwhelming to someone just beginning. How do you know what to include in every post for the best results? Or maybe you aren’t new, but still have questions about blogging. This is where a blogging checklist might come in handy. I’m a big believer in checklists. They help many people stay organized and on-task. 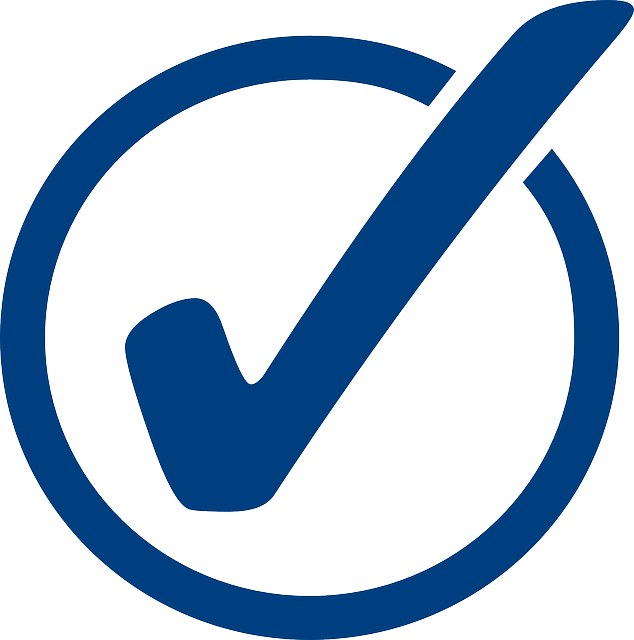 We create checklists for troubleshooting, tasks, procedures, to-do lists, etc. After all, you wouldn’t want to board an airplane if the aircraft checklist hadn’t been completed. The same could be said about blogging. You wouldn’t want to post a blog without following some kind of blogging checklist. So why not create a blogging checklist for you to follow each time you write a blog? Before you hit publish refer back to our blogging checklist. Our blogging checklist will help prevent you from missing important aspects to your blog. Have you done your keyword research? If not, don’t even think about writing a blog. Well, you can think about it—just don’t start writing, not yet! Contrary to belief, keywords are still very important and we can’t ignore them. But why are they important and how can they help your business? This quick video from Yoast answers why keywords are important. Keyword research is the foundation of SEO. But what the heck does it mean? Keyword research is the process of researching and analyzing the actual search terms your audience enters into search engines that relate to your business. It is important that you understand what your target audience is searching for so that you can be found! What keywords will it take to rank? Need help with keyword research? Yoast has a great article describing keyword research. Once you have completed your keyword research, you should create content around those keywords. Your research will have given you a better idea about the terms people are using, thus allowing you to begin considering blog topics. This is part of your keyword strategy. Keyword strategy is when you begin using those terms you defined in your keyword research. Every blog should include 1-2 keywords. The best practice includes the use of long-tail keywords. Long-tail keywords are targeted search phrases that consist of 4+ words. The more specific they are, the easier they will be to rank. Given their specific nature, they usually result in higher conversion. However, if you choose a short or common keyword you will find it harder to rank, as there is more competition around those keywords. Let’s say you are have a vacation rental in Tennessee. You could use “vacation rental” as your keyword but because it is very broad, you may never rank. Ultimately, you are writing for your audience and no one else. You should write in a way that your audience understands but also will find value. Is Your Content Centered Around Your Keyword? 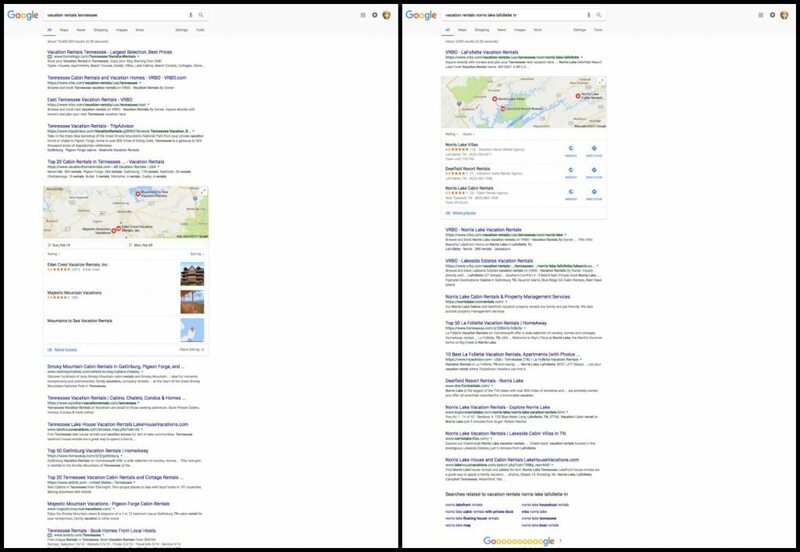 5 crucial places your keyword should be included in a blog post: headline, headers, body, URL, and meta description. Title: Your keyword should be included in your headline/title. Your headline should not be longer than 65 characters (Google cuts it off). If it is longer, be sure to include your keyword towards the beginning. Additionally, your title should catch your audience’s attention. The title is very important. Some experts believe you should spend as much time working on your title as your entire blog post. Meta Description: Your meta description should describe the page and include the long-tail keyword. The meta description needs to be under 140 characters. Body: The body of your blog should include the keyword naturally. Your keyword should appear within the first 100-150 words of your blog. You don’t want to overuse the keyword just to rank. When you overuse a keyword on a webpage, it is considered keyword stuffing. Google penalizes keyword stuffing or a high number of keywords on a single page. Don’t forget to include your keyword in your headers and image alt-text. Again, these should be natural and not for the sake of using the keyword. You should also include both internal links and external links within the body of your blog. Need more help with your blog? Our 16 Do’s and Don’ts of Blogging post offers other helpful hints to blogging. URL: Your blog URL should include your keyword. The permalink shouldn’t be too wordy. It should be around 3-5 words and still include the keyword. A short URL will also help with sharing. How will you intrigue your audience? You need to capture their attention in the very first paragraph so that it encourages your audience to continue reading. After you have lured in the audience, you should provide a brief summary. The summary should continue to intrigue your audience. What will your blog discuss? Tell your audience what they can expect in your blog and how you can solve their problem. Short paragraphs and simple sentences are key. 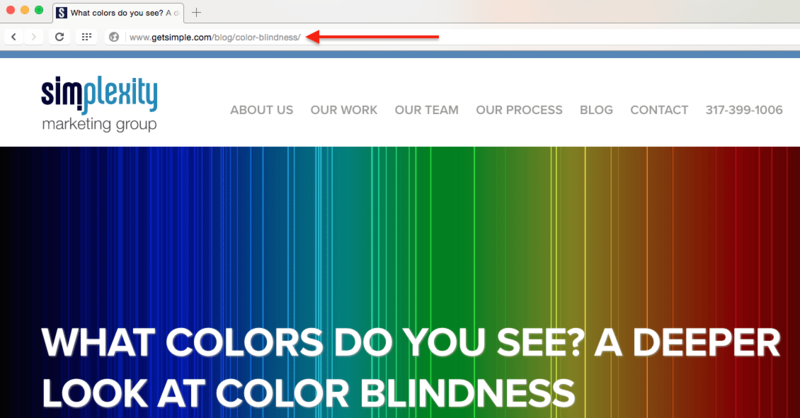 You have to keep in mind that many will scan your blog. Therefore, each paragraph should be no more than 6 sentences long. Your sentences shouldn’t be too wordy or long either. If your sentence contains more than 20 words, consider revising. Additionally, you should refrain from using big words or jargon. Using a bigger vocabulary should only be used when your audience is familiar. You want your blog to be easy to read and understand. Does your blog have ordered or unordered lists to break up the text? Bullet points or numbers make it easy to digest content. Lists allow your audience to quickly scan for important content. Another way to break up text is utilizing visuals. Does your blog have images, graphics, or videos? People enjoy visuals as it helps explain the content. It can also help with readability and eyestrain. Is your blog responsive for different devices? You don’t want to prevent anyone from reading your blog. Therefore, your blog should be available for mobile devices, tablets, and desktop. The conclusion is just as important as the introduction. You should emphasize how you were able to solve their problem and tie everything together. Do you have a call to action at the end of your blog? Social media is very important, especially when it comes to promoting your blog. Do you have social sharing buttons available on your blog? Your audience should be given the option to share across popular social networks. What networks are your target audience most active? Go where your audience is! Wherever your audience is active, these are the buttons you should include on your blog. Chances are if they want to share your blog, they will want to follow you too! (Kind of like if you give a mouse a cookie!) Be sure to have the social following buttons available on your blog. After you’ve published your blog, are you sharing it on social networks where you are most active? Do you have a publishing schedule? (Hint: There is no perfect schedule. However, IMPACT shares in their blog the steps for setting up blogging calendar.) However, we do use Hootsuite to schedule all of our content, including our blog posts. Of course there are other social media automation tools available such as Buffer, PostPlanner, Social Sprout, and CoSchedule. ALWAYS proofread your blog for spelling and grammar errors – not just once or twice, but many times! I would suggest proofreading your blog at least 5 times. It not only looks unprofessional but you could lose credibility for silly spelling mistakes or typos. If you are a smaller company, is there someone you can have to proofread? If not, there are plenty of online resources that can help! The Hemingway Editor is a great tool for editing your content. You can also grab friends or family members to read your blog for another set of eyes. We hope our blogging checklist provided you with useful tips for writing your blog. Of course we couldn’t cover EVERYTHING and was only able to discuss some of the most important aspects. So before you hit publish on your next blog post, be sure to remember this blogging checklist!